Newry Building Supplies delivers again! 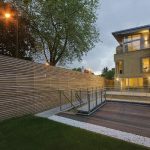 Every year, the Octabuild Builders Merchant Awards are organised by market-leading building material manufacturers Gyproc, Dulux Paints, Glennon Brothers, Kingspan Insulation, Sanbra Fyffe, Tegral and Wavin. This year’s awards were presented to outstanding businesses in six distinct categories, with Murdock’s Newry branch recognised for its brilliance in Business Focus. On presentation night, awards judge James Burke was fulsome in his praise of the high standard of excellence found among all the builder’s merchants honoured, describing all the winners as exceptionally well-run businesses, while Octabuild chairman Declan Smyth pointed out how the Octabuild companies had come together to promote the supply of quality products and to highlight the benefit of dealing with merchants who operate well-managed business and who believe in providing a quality service. 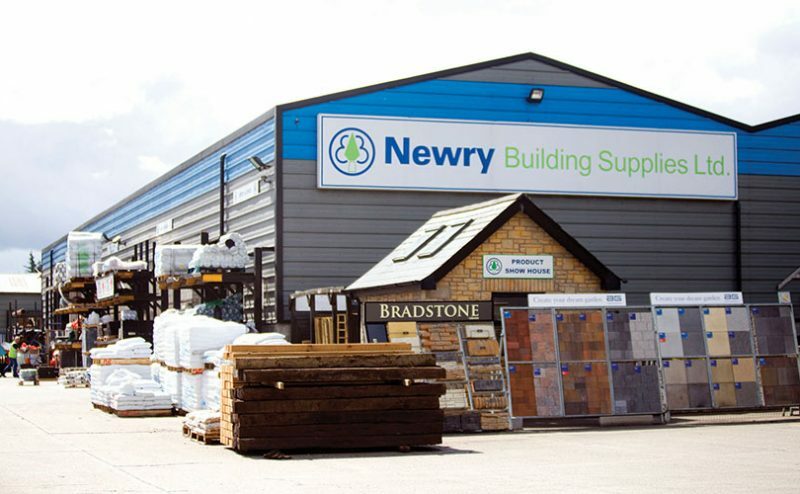 Newry Building Supplies has been in business for 36 years and is part of Murdock Builders Merchants Group, a leading independent supplier of timber and building materials in Northern Ireland and Dublin. 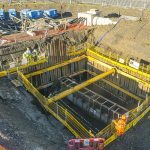 The group boasts 13 branches plus four specialist divisions (Murdock Trusses & Space Joists, Cranwood Industries, Cranwood Carcassing and Murdock Civils). 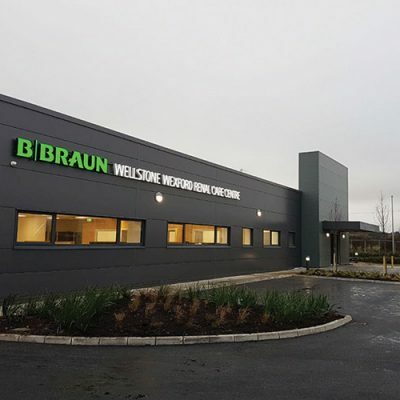 Its business is built on strong relationships and it prides itself on exceptional customer service and providing a quality service at the right price to its ever-growing customer base across both Northern Ireland and the Republic of Ireland. Newry Building Supplies caters for all types of projects, from extensions, renovations and self builds to large commercial jobs. The award acknowledges the lengths to which the team at Newry goes on a consistent basis to ensure that customers receive the best products and the highest levels of customer service. This wasn’t the first time NBS was recognised at the Octabuild Awards – in 2016, they won the Innovation Award – a worthy commendation for their innovative use of the delivery fleet to promote their business. “It was great to follow up this year with the Business Focus Award,” Colm continues. “Like all branches in the Murdock Builders Merchants group, Newry Building Supplies has a clear strategy in place. There’s a business focus in all the branches and through the group as a whole but the award underlines what we are trying to do here in Newry, that we are doing things the right way. We pride ourselves on our focus, our customer service and the large volume of repeat business we receive. 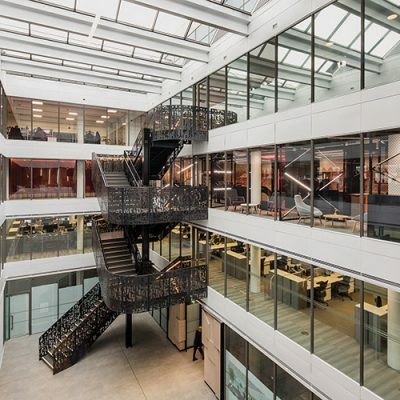 The fact that we won an award in this area is great and it cements our status as a customer-focussed business. Indeed, this award is a massive fillip to the group as a whole, especially considering that Newry Building Supplies was the original Murdock Builders Merchants outlet… After starting life as Newry Building Supplies, Murdock Builders Merchants has grown organically over the decades and is now recognised as a leading supplier of building materials and timber in the Irish marketplace. 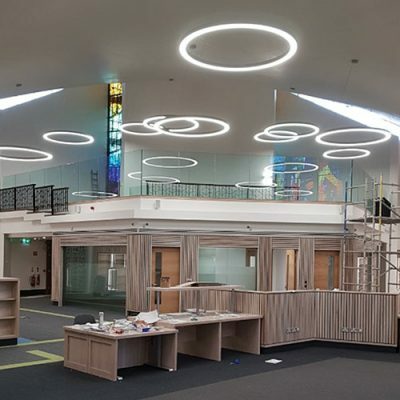 The other twelve branches are located at Ballymount, Balbriggan and Kilbarrack in Dublin; Castlereagh, Duncrue and Kennedy Way in Belfast; Banbridge; Derry; Dungannon; Newtownards; Enniskillen; and Lisburn. 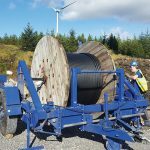 Meanwhile, also within the group, Cranwood Industries (Warrenpoint) specialises in machined timber and cladding while Murdock Trusses & Space Joists and Cranwood Carsassing are conveniently located on the same site as Newry Building Supplies. Direct employment is generated for a team of 25 full time, as well as Saturday and holiday staff. Providing a complete range of building materials from foundation to finish, Newry Building Supplies has a broad range of customers from large builders and main contractors to small one-man builders. “We’re trying to widen our range of products all the time and to get them as quickly, affordably and conveniently as possible for our customers,” says Colm. 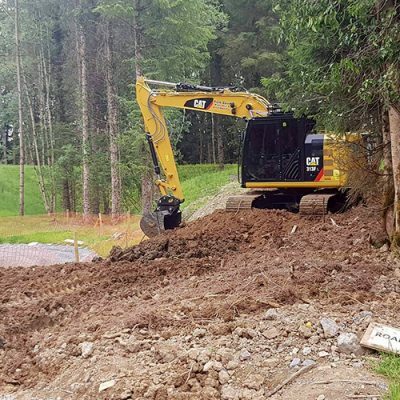 “We’ve built up strong relationships with contractors who do the big commercial and residential jobs. We have worked with them closely and have grown hand in hand with them. The catchment area covered stretches out at far as halfway to Banbridge in one direction; Strangford and Armagh; then south into Drogheda. 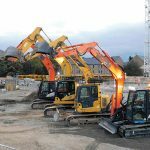 “We also work closely with the other branches in the group so that customers can have their account managed from here but have their goods delivered from one of the other branches if it is closer to site. That way they get the same quality, only quicker. Looking to the future, complacency won’t be creeping into Colm Campbell’s mindset, despite the recent achievements of Newry Building Supplies both in business and on the awards circuit: “We have a mixed team here of experienced staff and younger people, so we’re trying to strengthen that team all the time and to get the inexperienced personnel to develop. We’re always looking at the overall picture and trying to have all our teams working together – be that the sales team or the boys in the yard – to make sure customers get the complete service. That’s called award-winning Business Focus!